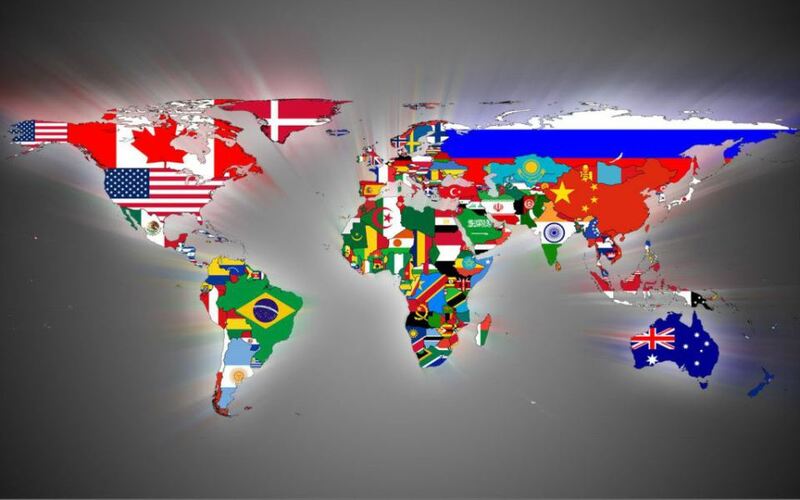 Depending on what country you're based, mobile phones are also called cell phones (USA), handset, cellular phone OR hand phone, they are an important if not vital part of our lives. They are a source of many kinds of information, applications and functions. The question is: how personal is your Mobile Phone to you? 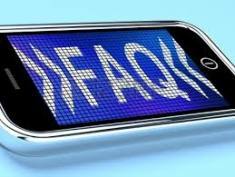 When, where and how did you get your Mobile handset? What phone did you get and why did you get that one? Out of all the Mobile Phones out there today? 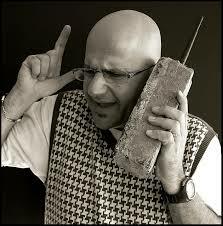 Mobile Phones more than just for communication, what does it mean to you? Sorry for all the above questions, but we are just trying to encapsulate and provoke what this site is all about, anything in connection or to do with Mobiles, this site wants to be all over it like white on rice for you, its about people and there Phones, what it really means to them, the issues (and the unaware issues) that arise from ownership, its about Mobile Phone lovers and enthusiasts coming together on this website, to help others and be helped in any way shape or form. Please Tell Us About Your Mobile Phone? Do you Love The Mobile Phone you have at the moment or do you just have it simply to serve a purpose? 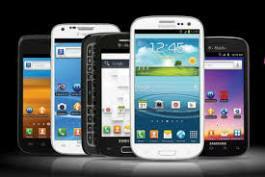 So if you could have any Mobile, which one would it be and why? You have the Mobile because you're a fan and follower of the Mobile Phone or Brand....Why? But overall whats the best mobile ever IN YOUR OPINION AND WHY? 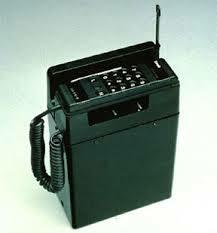 Do you have some pictures of Mobiles you are writing about to add? Great! Click the button and find the first one on your computer or Mobile Phone. Select it and click on the button to choose it. 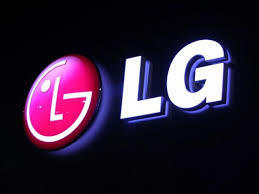 I us the LG G3 Mini.. If you want to get somewhere fast go alone, but if you want to get really far go together. We are humbled to welcome you to this site, we are a UK based website and with your help we aim to make this site the number one definitive source of Mobile information, like a one stop shop for you, us and the whole world regardless. Mobile Phone is truly mobile, its the one communication device that every man and woman understands and knows throughout the world, our goal is to improve and maintain that understanding. So how and when did the Mobile Phone get really personal? Ok here is the short history. Do people choose there mobile or is it the other way round? There was once a time when there were not many phones if any (and that's if one could afford one) to choose from in the market, a long time ago. 20 years ago is relatively a very long time in the mobile industry keeping in mind that the first ever commercial Mobile was approved in the USA in 1983 and became commercially available in 1984. 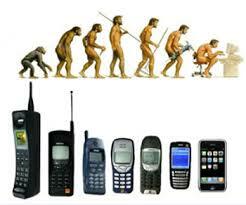 It was called The Motorola Tac 8000x invented By the Ever brilliant Mr Martin Cooper. 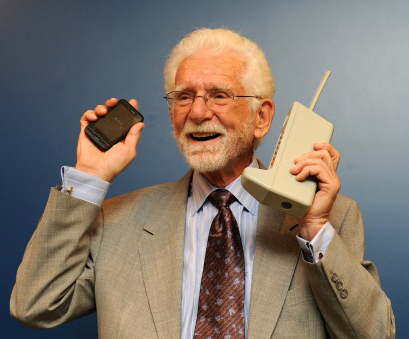 Martin Cooper of Motorola (inventor of the Mobile Phone) holds a Motorola Tac to a modern day Smartphone in his right, his invention has evolved many times within his lifetime. Why? Evolution of the Mobile from Motorola Tac on the left to the smart phone to the right, just what Martin in the left pic is showing. Any missing links? Get it? 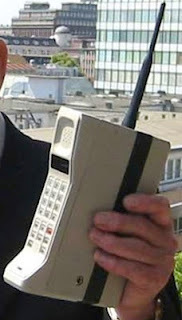 Back in those days, as far as the personal Mobiles went, they were very far from personal at least by today's standards (for the masses at least) in fact only the affluent, wealthy and cooperate business folk could afford them back then in the 80s, weighing in at 2.2 pounds (1 kg) not only did they look like bricks they where as heavy as one too, between the 1970′s and 1980′s some handhelds were the size of a small briefcase, come on now, that doesn't sound or look personal to you now does it? For those of you who still use and own one of this bricks bellow, there is no shame; however the antique road show and local museums may like to speak with you. Jokes apart now, lets give respect were it's due, without the Motorola Tac 8000x, there probably wouldn't be any mobiles as we see them today, we wouldn't even be on this website rite now, lets hail and praise it, for it is the original fore father of all Mobile Phones on Earth today. Let's never take mobile communication for granted. But the Dyna Tac was big though. OK then wrapping up on the short history of the origins of the Mobile, and how they become really personal. From 1990 to 2011, with better and more efficient innovative cheaper production methods and due to internal components becoming miniaturised allowing mobiles to become more compact, smaller and lighter mobiles became cheaper, worldwide subscriptions for mobiles blew-up, it grew from 12.3 million to over 6.2 billion, penetrating about 88% of the global population and reaching the bottom of the economic pyramid. 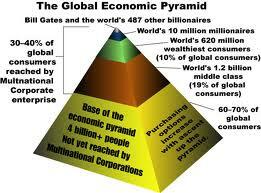 At the base of the economic pyramid (BOP) are 4 billion people. 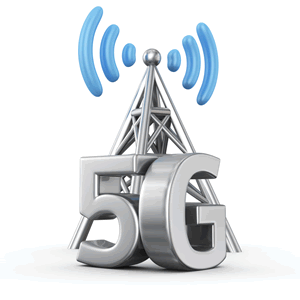 In this bottom region, the population of people who are at the bottom of the economic pyramid (BOP) is 70 percent representing a $509 billion market in turn with many mobile network operators coupled with so many Phone manufacturers all competing for this massive multi-billion dollar market. 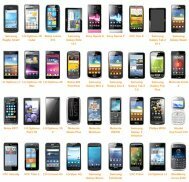 Good competition created diversity and change all for the better in the form of different types of mobiles to fit every bodies needs according to how much one can afford, now there's so much choice and options. Everything became (and still is) more about design, functionality and applications, as it should be, the all singing and dancing with thrills and frills. We feel that the mobile really become personal naturally, suffice to say that there are just so many functions and 1000s of applications for it not to Match the users needs, as an individual no what you do or where your are from, the Mobile phone does not discriminate in any why shape or form, in this day and age. We can confidently say that at any giving time either through functionality application or appearance no two phones on the planet can ever be exactly the same and that is wonderful because it's individually Personal. Good competition between Mobile Brands and producers (we hear some are suing each other for all sorts of infringements) like Apple, Samsung, Blackberry, Nokia, Htc, Sony Ericsson, Lg and the rest, where phones are becoming obsolete, old and ready for the next latest model within 6 to 12 months of release has giving everyone on every level of the Economic Pyramid choices and option to own a mobile. This is the new era where our Phone can really represent you as a person, AS AN INDIVIDUAL as everyone's mobile needs are different. The smartphones of today offer phenomenal speeds and with internet connectivity to good app stores, that will give your phone infinite like flexibility, so it can become exactly what you need when you need it. We hope the above history lesson about the origins of the mobiles wasn't too long and boring for you, as this is a very short version indeed, however we can now break it down into the more exciting bits like all the things, types and aspects that have come to be just because of Mobile Phones, this does not only improve our personal mobile experience but sustains it as well to better help us choose. 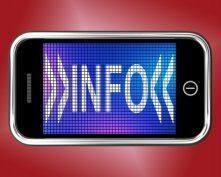 Make informed Mobile Phone Contracts decisions right here get the one that fits you and your lifestyle like a glove fits a hand.Contract Mobile?Look here.all about the best for you. Mobile Phone Accessories.Cases. Bluetooth.Chargers.Memory Cards All phone Brands.iPhone,Samssung.HTC.Nokia.Microsoft. all Screen Protectors.